Complex and new smoothing ingredients that correct wrinkles, pores and skin texture in real time, and over time. 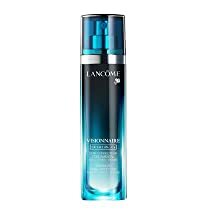 – In one application: skin feels smoother and softer. – In three days: skin texture is refined and pores are less visible – In four weeks: wrinkles, pores and skin texture are visibly corrected. Women see it. Clinical tests prove It. * 75% of Women see visible skin transformation. ** *Based upon a clinical test. 108 women – 4 weeks. **Based on consumer evaluations of all subjects tested at 4 weeks. 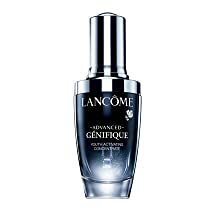 Advanced Génifique-a serum so powerful it creates more radiant and smoother skin that you can see and feel. This innovative formula featuring Génifique’s powerful complex with added biotechnology-derived ingredient is incredible to the touch, and acts on 10 key signs of youth including texture, resiliency, elasticity, firmness, sagginess, fine lines, wrinkles, radiance, clarity, and skintone. 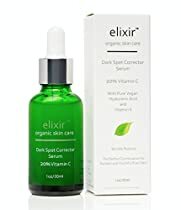 Complete with an exclusive self-loading dropper that gives you the perfect dose of serum for each application, skin will feel refreshed, renewed, and healthy.